Discover if LiveChat is the fastest solution on the market to help your customers in this Definitive Review! 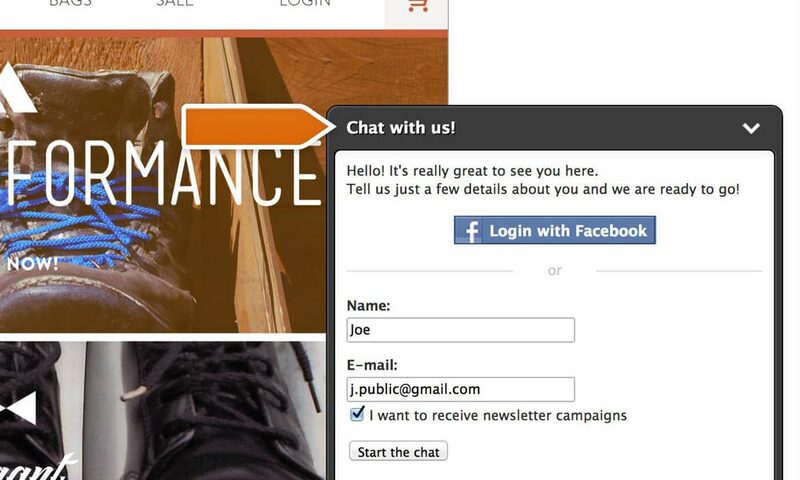 Just how easy is it to start chatting with your visitors who need your help? 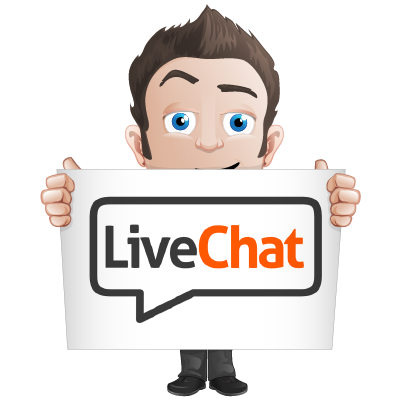 Will LiveChat help bring in an additional source of revenue each month? How clean and easy-to use are their applications? If you’re looking for a customer service platform, you’ll need to read this review! So, let’s delve right in…. With such a huge range of operator clients and extensive third-party integration capabilities, it is undoubtedly one of the most effective Live Chat software available today. LiveChat is not the cheapest; offers five plans which cover what most users want and need. Their starter plan is perfect for those just starting out. It doesn’t offer any free plans. LiveChat’s user interface is bright, colorful and very easy to use. LiveChat support is excellent. They offer a 24/7 service via their own proprietary chat software together with a massive knowledge base of support features that you will love. Is LiveChat the Right Live Chat software for you? Well designed – it is both aesthetically pleasing and a pleasure to use. 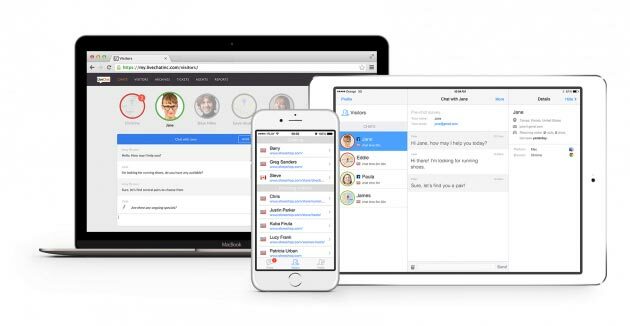 Loads of features and apps including their own helpdesk tool and chatbot. Live Chat offers premium Live Chat and Help Desk Software for businesses and claims to turn support teams into customer service rock stars. In this review, we’ll see if this modern live chat system really lives up to all the hype and look at the good, not so good and altogether bad (if any!!) features of LiveChat. 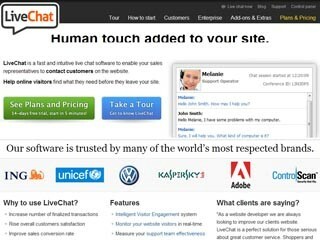 LiveChat was first launched back in 2002 and at present is developed and offered in a SaaS (software as a service) business model via LiveChat Software. It is an online customer service software which offers help desk software, live support and web analytics capabilities. 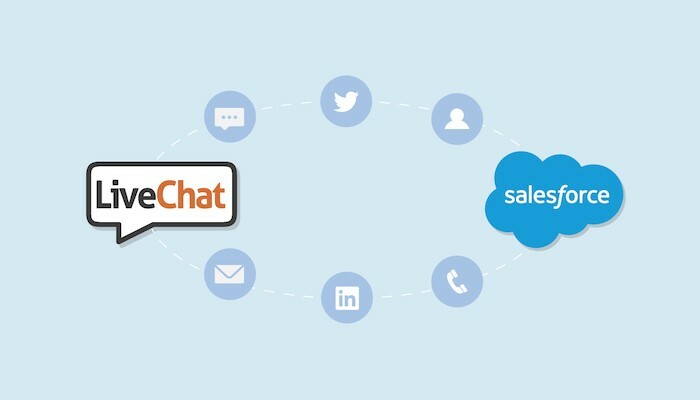 LiveChat is used by companies as a single point of contact to manage all online sales and customer service – all from one software (normally these would be provided using different channels) and is one of the very first to integrate with social media. To date, LiveChat is used by over 21,000 paid customers across 119 countries. LiveChat provides an excellent feature set, including ones that I haven’t seen offered from any of its competitors plus it caters for any business size. The user interface is bright, colorful, fully customizable and more importantly easy to use. LiveChat transforms your helpdesk team into customer service rock stars. It’s fast and intuitive and will definitely win the hearts of your customers as well as gaining substantial advantages over competitors. LiveChat does the heavy lifting, something which email and phone can’t deal with, which means cases can be resolved quickly and easily. Queues are a thing of the past, and your customers will be amazed at the speed of your answers. 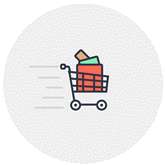 LiveChat allows you to easily track visitors coming in – in real time PLUS you can check whether they are either using a shopping cart or abandoning an order. LiveChat quickly generates reports for each member of your helpdesk team and analyses their number of chats, chat invitations and time spent with customers (more about this in the analytics part of the review!!). What LiveChat does, is allow you to increase successful transactions and average order value, while at the same time offering a secure and extremely reliable communication channel. So, for the purpose of this review, I have listed each of LiveChat’s features and how they work. As you chat live with your website visitors, one thing that becomes apparent is that quite often you will notice that their typing slows down or they’re simply too shy to click send. What LiveChat does, is allow you to legally and ethically spy on your website visitors as they type (take that 007!! ), which then enables you to more often than not answer their questions BEFORE they are even asked – which makes you look like a support legend (or a clairvoyant!!). Quite often website visitors will ask the same questions. So, instead of having to continually type out the same response why not configure triggers that react via a #tag? 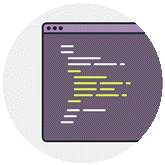 As soon as the LiveChat console is triggered by a #tag, it will automatically type out the pre-configured response, which saves time and helps users much more quickly. 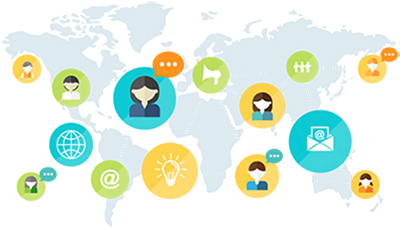 Power is knowledge, and the great thing is LiveChat provides you with the essential knowledge regarding your users so that you know where they have come from, who they are, their location and email address and even their previous order numbers. This is really important as it enables you to hone in on your support without irritating your website visitors by repeating questions they may have already answered. If you sell digital products or have advanced tutorials that could be beneficial to your website visitors, then keep reading. LiveChat has a file sharing option which is really helpful which makes it easy for you and your agents to send files to your website visitors all with one simple click of the button. You’ll never have to frantically search for hours looking for a live chat session that took place weeks or months ago as LiveChat offers an extensive chat history. 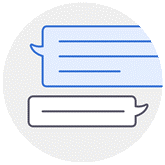 All of your chat’s history is easily and quickly accessible and can be search a specific time frame, phrase or live chat agent. If you frequently interact with the same clients, are you conscious that you might be asking them the same questions over and over again? This isn’t ideal and could turn website visitors away from using your Live Chat helpdesk, to begin with. 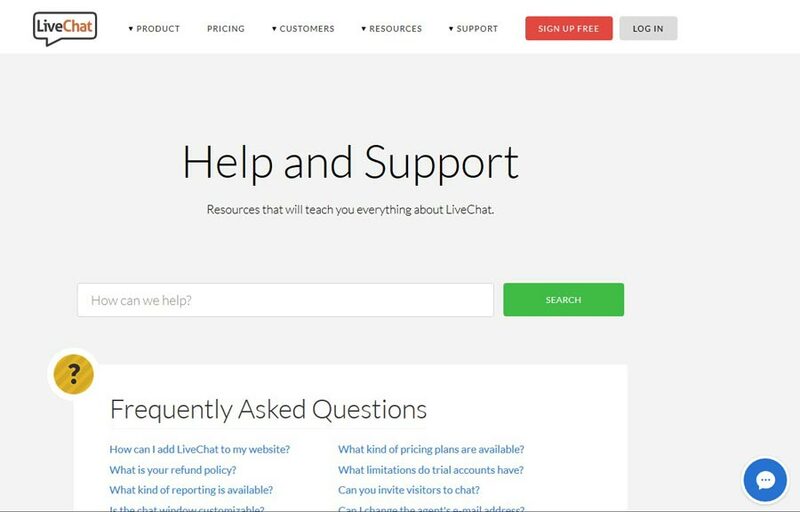 Fear not… LiveChat helpdesk displays the full chat history in the same window that you’re typing in, which means can see what questions your website visitors have previously asked. Have you ever felt the frustration of feeling like your support is being ignored? If you have, then rest assured: LiveChat enables you to see your messages status, which means that you will know whether your website visitors are receiving and actually reading your live chat messages. If you know how that feels, you can be confident that LiveChat allows you to see the status of your messages. It’s a fact of life, however much effort you put into trying to be a super-duper business, there will always be troublemakers, black hats, and trolls that you want to be kept out. LiveChat gives you the capability to “ban” end users from both using and abusing your live chat helpdesk. Imagine if hackers were trying to steal customer data and bring down your website right now? If you’ve ever had that niggling thought, then you’ll love the next part. All customer conversations via the LiveChat live chat system is encrypted with 256-bit SSL encryption – which keeps your data safe and hackers locked out. Agents can log in using Google rather than a traditional username and password. This is a good idea as Google permits you to enable two-factor authentication, which means that in the event that your live chat agent’s passwords get compromised, then to be able to gain access to their account, the hacker will first need to access via their mobile phone. LiveChat can seamlessly be integrated with popular third-party helpdesk, social media applications, and CRM. Platforms such as Zendesk, Salesforce, Desk.com, and Join.me are able to be accessed directly from the chat window. 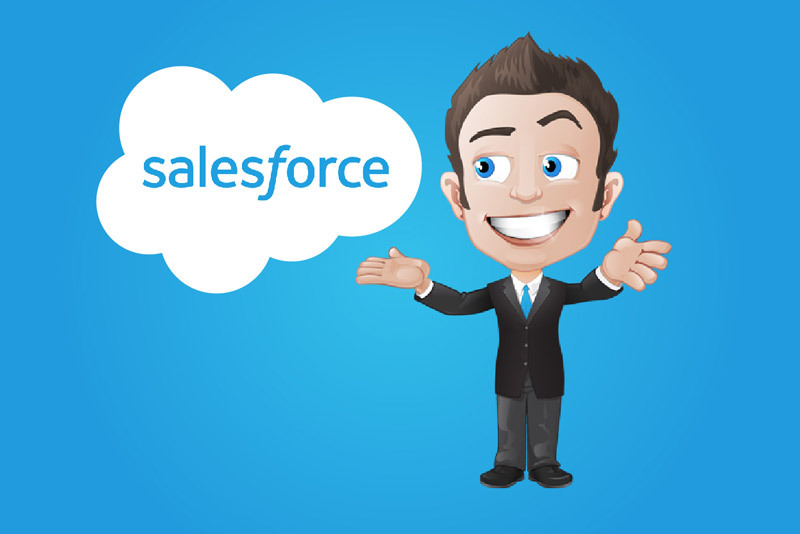 LiveChat can be integrated into your Salesforce setup which is great as you can create new contacts directly from the live chat console. 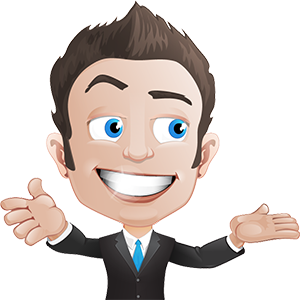 This makes it possible to close more leads, sell more products AND build an unwavering rapport with your website visitors, due to your fast and superior support. Are you selling products in your 3d cart? If so, you’ll know that your users have no end of questions. And what’s the best way to solve them? Well, it’s by being right there, with a live chat by LiveChat. 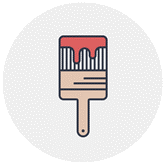 This allows you to put your user’s mind at rest, meaning they will most likely continue on and buy your products. During their live chat sessions, visitors to your website will have the opportunity, during live chat sessions to tick a checkbox, enabling them to subscribe to your newsletter. 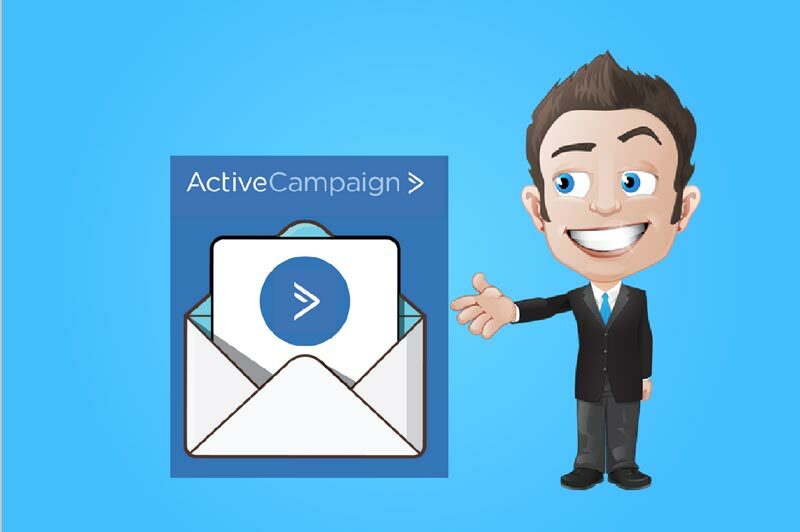 This is a fab way to increase emailing lists while offering unrivaled support which will ultimately increase the confidence of website visitors and augment sales. Let’s face facts, Adobe Business Catalyst does allow you to create amazing websites. But there’s something missing? What? Well, it’s the ability to interact with website visitors in REAL TIME. But, why is this so important? It’s important because generally, a confused customer will never buy! So, why not help your website visitors and integrate a LiveChat helpdesk in a little under 5 minutes. If your company has loads of complicated tutorials and data, why not hand out tutorials to help your end users? Quite often sending email tutorials is difficult because of deliverability problems. The beauty of LiveChat is that it easily integrates with DropBox, meaning files can easily be shared with your LiveChat end users, simply by dropping them into your DropBox. Drupal creates beautiful websites and fast. The only problem is its lack of interaction. You can improve your performance by adding a LiveChat helpdesk into your Drupal site. I’m sure you are already well aware of the SEO benefits that go with being present on Google+, however, it can be an absolute nightmare to get people to add you to your circles. The good news is that LiveChat easily adds a “+1” button to your chats, which increases your exposure and provides a much higher likelihood of interacting on Google’s preferred social network. It’s quite possible that you or your business already uses WordPress in some shape or form. If so, then you’ll be pleased to know that integrating it with LiveChat only takes seconds. 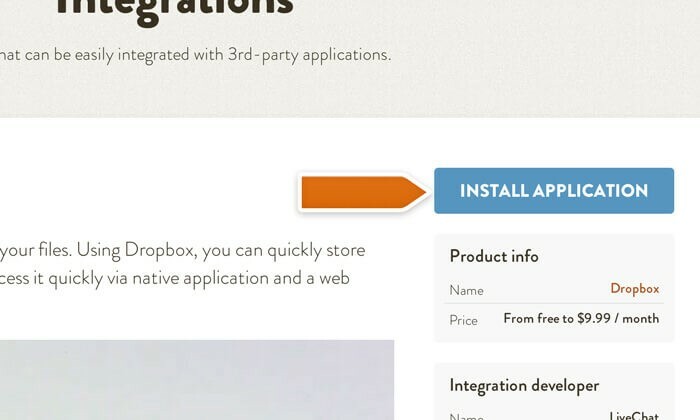 Simply download the LiveChat WordPress plug-in to the interaction hub of your business. LiveChat includes built-in analytics which highlights and help you to understand which areas of your service are lacking and which need improving plus they help you to keep on top of the important ticket and chat metrics. To make life a little less complicated and for the purpose of this review I have divided the analytics into two sections, those to do with chats and those for ticketing. LiveChat includes loads of features that provide you with all important information about all chats that have taken place with customers. I bet you’re thinking, just get on with it, and tell me what is included!! So, listed below from 1-11 are the analytic features that LiveChat offers for chat. 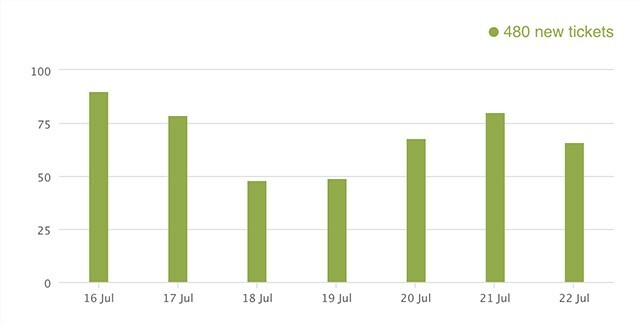 This is a very simple report and helps you to learn more about the number of chats that have taken place with your website visitors. Are your customers satisfied? If you’re not sure, why not check using LiveChat. 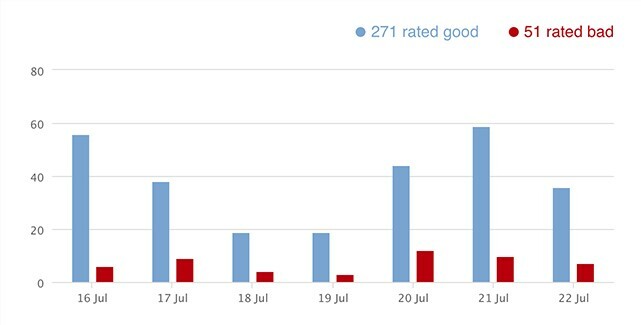 All the ratings that have been collected during chats are then collaborated and displayed via a simple metric – the customer satisfaction level. The higher the number, the better the customer service!! This report does what it says and simply lets you know, on average, how long customer chats are. 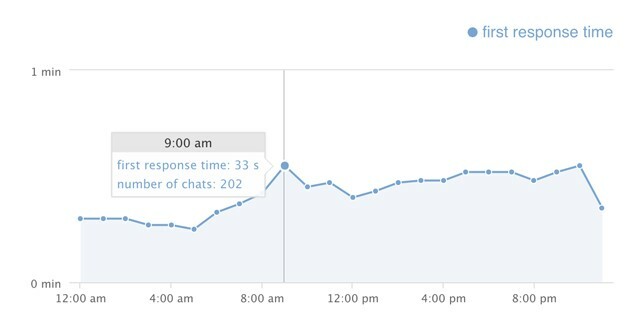 This report tracks two metrics: you’re first response average speed in a chat and the average speed of all responses during the conversation. Using information obtained from previous chats, the staffing predication report will forecast how many agents will be necessary on a particular day of the week before any conversations default to the queue. Pretty cool eh? 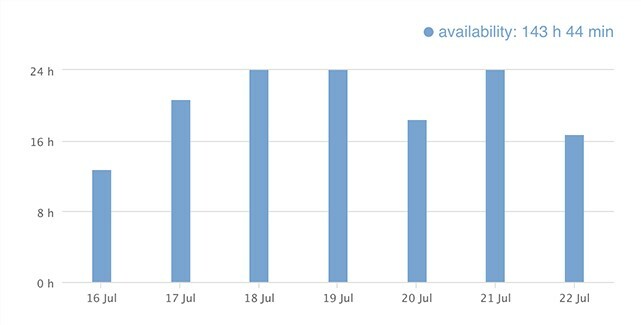 This displays the complete time that your chat service was available during a specific day or particular time period. Do you know when your agents were available for chats and when? 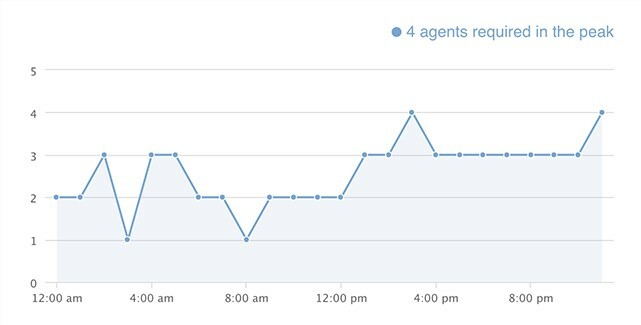 Well, with this report you can keep tabs of your agents’ statuses which are displayed via a graphical representation of their activity. 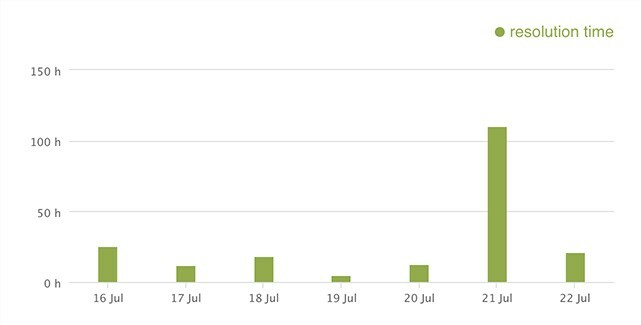 This report will show you how many of your chats REALLY end up with the desired result, e.g., a sign-up or sale. The statistics can be tracked for all goals that you create and will provide you with a detailed image of the chat conversions. Do you know how many sales were made over a specific time period as well as how much they are worth? Well, with the sales tracker report YOU CAN!! This report will help you to understand the value of using LiveChat together with which product produce the highest sales AND who the best agents are at selling them. No secrets here then!! Nobody likes queueing, in any shape or form. 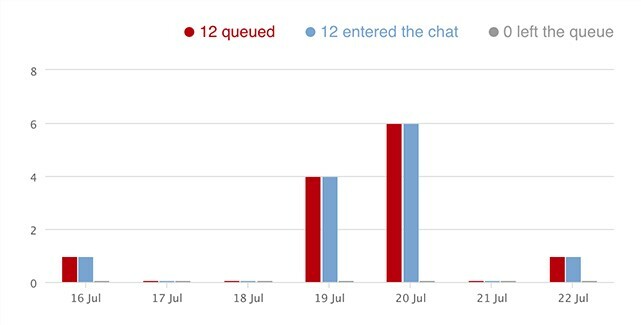 This report will show how long visitors had to wait for a chat, how many continued onto a chat together with how many, just packed it in and left. The great thing about this is that the report also provides additional visitor contact information for those who left the queue, to enable you to follow it up and hopefully repair any bad experiences. This is where all the results form, the pre-chat and post-chat surveys are kept. 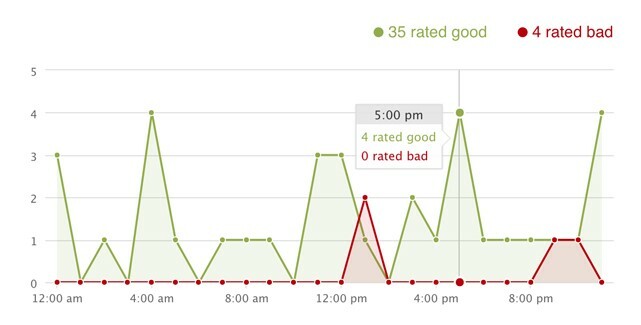 This report will display how often customers chose a specific response. Now, listed from 1-6 are the ticket reports that are offered by LiveChat. 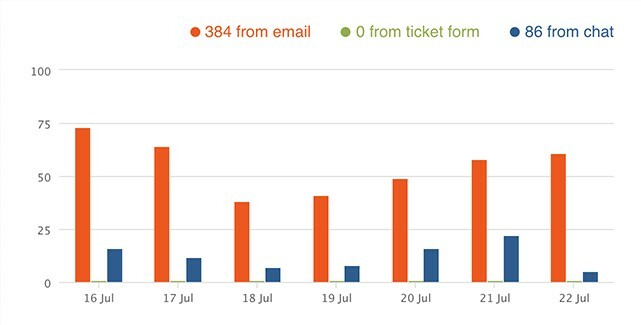 This report displays how many tickets were received from customers. 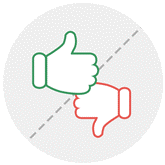 Do you know how satisfied your customers are with your service? If the answer is no, then this report will show you how many of the resolved tickets have been rated positively and well, how many left a bad impression!! 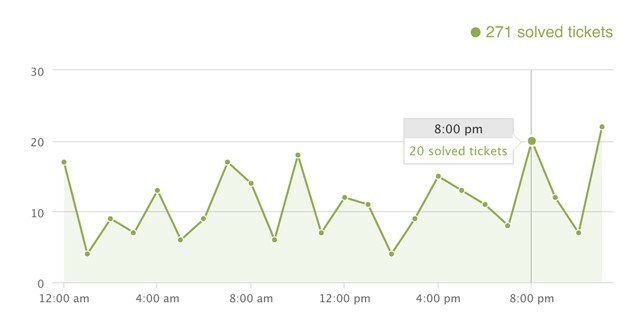 Check how fast your response times are to new tickets by using this report. 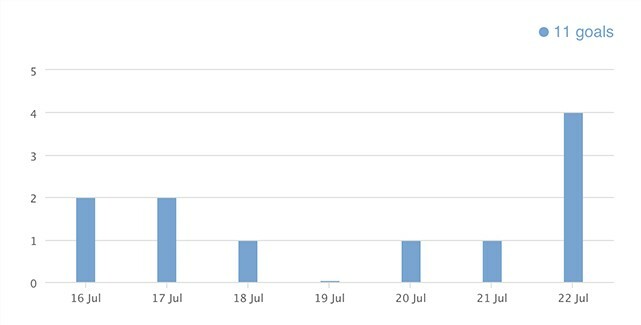 This report simply displays how many tickets have been resolved. 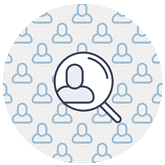 With this report, you will learn how long your customer services team takes to completely resolve a ticket case. 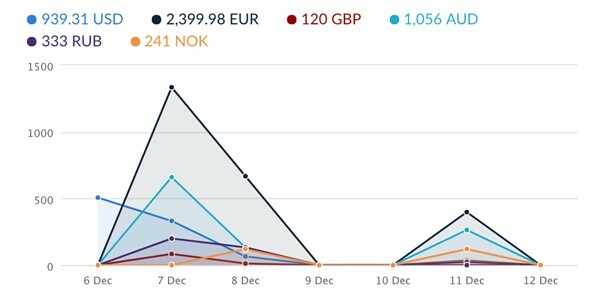 Using this report, you will be able to see how many of your tickets came through ticket form, email or were actually created during a live chat. So, as we’ve discovered, LiveChat is crammed full of features and reports to keep you up to speed with how well you’re performing. ALL the reports can be stored in a CSV file!! PLUS customer service data can land directly in your email box by simply setting up on-demand and scheduled reporting. 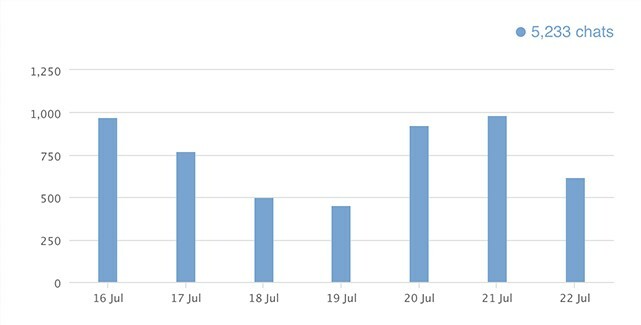 The exportable reports cover everything from surveys, chats, goals, queue abandonment and tickets and can be set up to recur daily, weekly or monthly!! Data can be viewed in the 24-hour distribution mode. 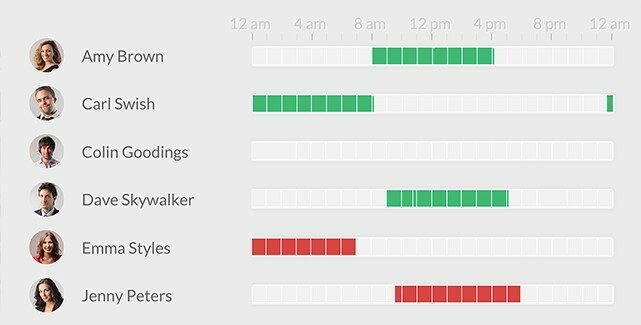 Basically, this shows you which parts of the day are busy, and which are slow. Reports can be pulled via LiveChat’s API without having to use the application. 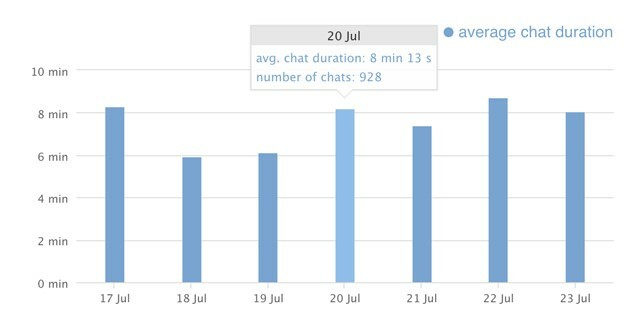 This helps to build your own set of customer analytics by feeding the LiveChat data straight into your infrastructure. This provides you with reports relating to your LiveChat activities and can be sent straight to your email. 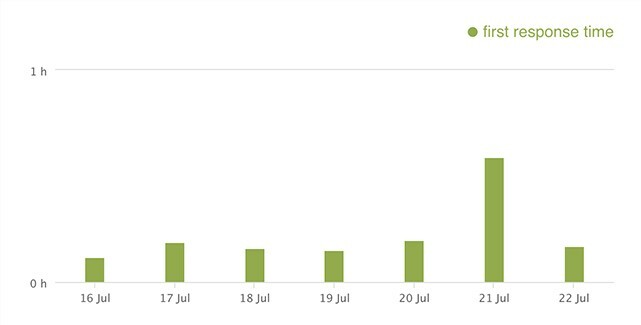 This short daily summary will keep you up to date with how many chats took place as well as which were good and bad. 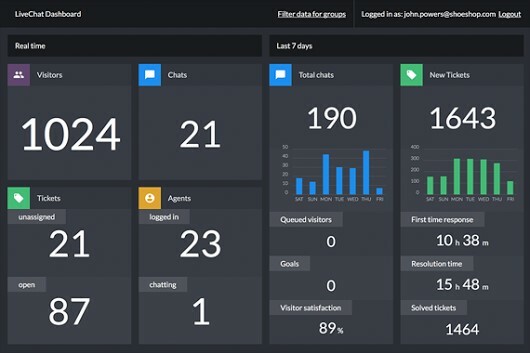 If this sounds like too many reports, then visit LiveChats dashboard where you can see at a glance the most crucial metrics, including ticket and chat volume, response time and customer satisfaction. Out of all the Live Chat Software that I have reviewed, LiveChat’s support surpasses all others. As well as offering a 24/7 service via their own proprietary chat software they also include a huge list of supports that any user will love. The knowledgebase is expansive and covers their system bases nicely. Whether you’re searching for how to get set up in the quickest way possible or wanting to learn more about how you can design your LiveChat system, the knowledge base is sure to answer all your questions. If that wasn’t enough, there is also a webinar system which allows you to what their webinars that are archived but teach topics that are red hot, such as how to deal with difficult customers, how to increase sales and how to automate sales. LiveChat also has future webinars, which means that you can always stay in the loop and train yourself to become an even better customer service representative and salesperson. 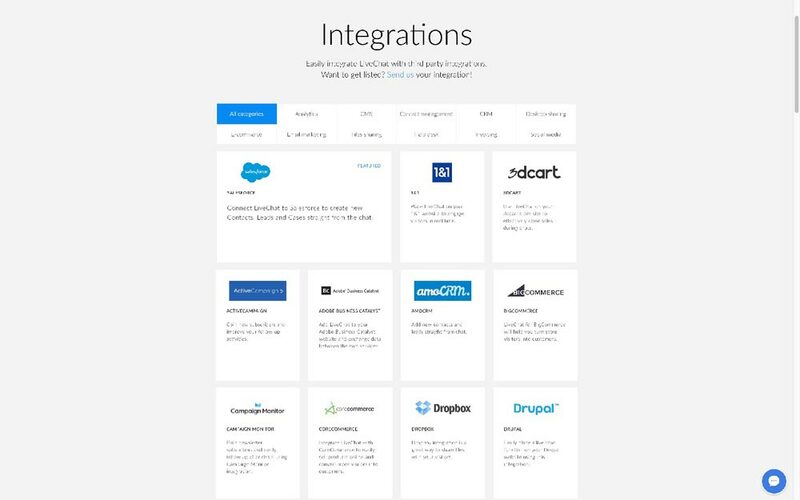 Another great feature that LiveChat offers is a really interesting database that is jam-packed with companies that you can hire to use as chat agents on your site. So, if you find yourself in the position whereby you are looking for a fully blown helpdesk but fall short of where to hire reliable help, then look no further – LiveChat has it covered!! LiveChat offers operators a huge range of choices as for how they chose to log into the system to deal with customers. 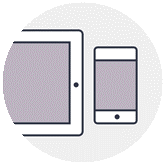 It provides a web interface together with desktop clients for Mac and Windows and mobile apps for all major platforms. Because of the client range, LiveChat is one of the most compatible services that I have seen – top marks LiveChat!! Operators won’t require much training to get up and running due to the clients being so easy to use and well designed. To get them up to speed, you are able to join chat sessions as a silent observer, which allows advice to be provided in real time. Not many other services offer this feature, and it is a great way to train up new operators fast. 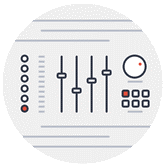 There are several channels by which users are able to engage with their customers, and desktop applications are available for Mac and Windows operating systems. These desktop applications are perfect for agents who use LiveChat when they are working at their PC’s as due to the auto-start and auto-login options, turning on the computer means that you are turning on LiveChat. There are also mobile applications which are provided for both Android and iOS users. This is a great option for the small organization as it means that you are able to work on the go. Having said that, it can be useful to larger businesses too, as it allows them to extend their outside working office hours which give your agents the option to telecommute. Most Live Chat solutions can easily satisfy the customers that we know. But what about thoroughness? What new technologies do nowadays is enable live assistance to fill a gap – all without leaving a trace. Most chat services offer desktop software features which allow the agent to engage customers via text chat without even having to open the website each time. One of these great features is screen sharing. Quite often, customers struggle under the stresses of using new technology and become confused mid-purchase or when using a service. No other channel is capable of training them so that they can progress on – all while demonstrating the correct procedure. LiveChat offers both screen sharing and co-browsing (via add-ons). Screen sharing means that live agents are able to temporarily share the viewer’s screen and move the mouse into the right place, while co-browsing means gives the agents a clear view of the screen and enables them to share relevant documents and files with the viewer when necessary. LiveChat also offers visitor screen recording (via an add-on) but not video or audio live chat. It can also be connected to various services via the use of Zapier. 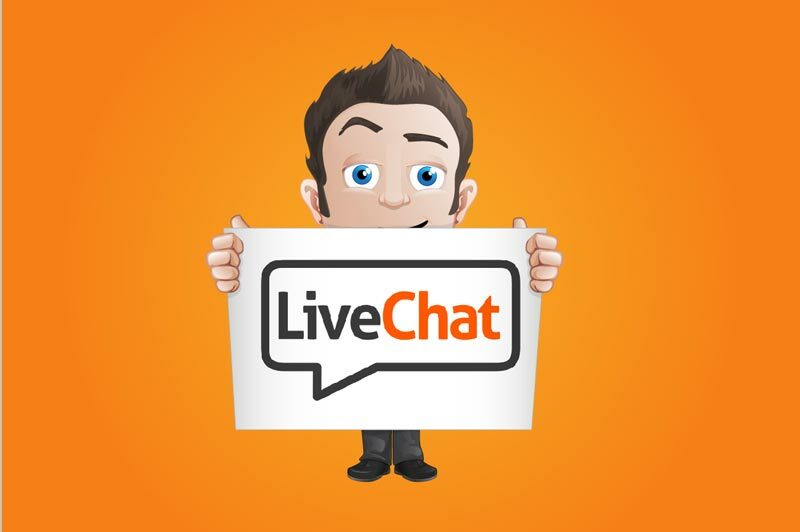 Remember, LiveChat may not be the right Live Chat software for everyone, so let’s try to get down to who precisely this tool is going to be suitable for. What type of positive results do you think that would produce? Do you think your website visitors would be more likely to buy your products, or less likely to buy your products if you could reply to them right on the spot? You probably realize that they would be much more likely to buy your content, on an ongoing basis, especially if they knew for a fact that you cared enough about them to offer awesome support. Because LiveChat does come in more expensive than other Live Chat tools – even more so if you need to set up different agent groups or need more than just one automatic trigger, therefore, I wouldn’t recommend it for a budget blogger. There is plenty of other Live Chat software that offers all the necessary features, at a more palatable price. LiveChat is definitely up there with Live Chat software that those starting out should definitely consider. It is easy to use and offers practical solutions to both small and large businesses. I think what really makes it stand out from the rest is its superb help and support options – something which is so important if you’re not up to speed with how things work. If you are a high-level user that runs any type of business such as a website that sells or publishes content, an eCommerce store or blog, then LiveChat is definitely an integration that needs serious consideration. Goodbye support tickets, hello ‘on the spot’ support. This could be the game changer that means that your end users are never left waiting or guessing. It is packed full of features which means that you get way more value for money than some of its competitors. So, now we’ve reached the end of this LiveChat review, and hopefully, now you understand why it is such a popular live chat software. 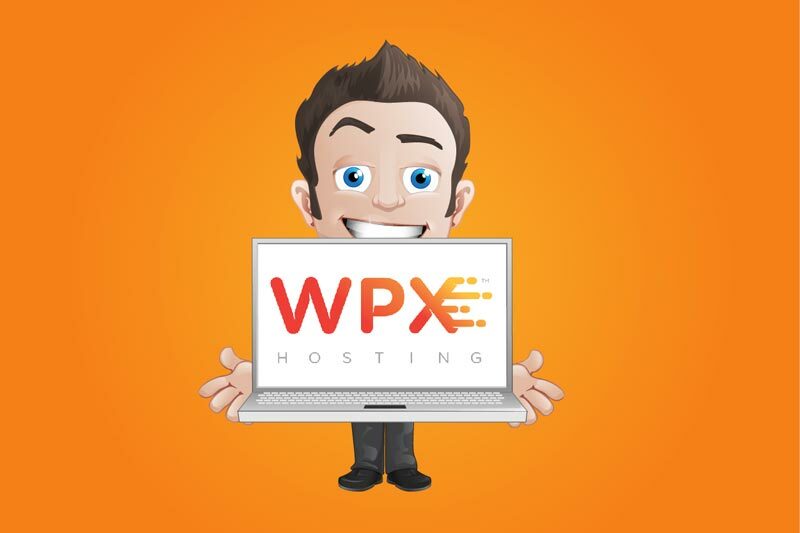 As we’ve learned, part of it is because the services are so easy to use, scalable and practical and can be used by any website or business, regardless of size. Why not pop over to their home page and read some of the testimonials, what you will discover is that people love LiveChat because they CARE about their customers. End users who interact with it, find it to be a real time saver and an extremely valuable commodity. All these positives add up to one thing – trust. This means that your end users trust and like you, even more, meaning they will buy more products and make inquiries about other services, which in turn increases the value of each website visitor. In this day and age, it’s not a question of ‘do I consider a live chat feature for my website? The question is ‘which Live Chat software is the best for me and my business’? Remember, LiveChat is trusted by loads of reliable, big name brands throughout the start-up world and for a very good reason. Their end users love the service together with the speed that their questions are answered. This, in turn, results in higher sales, improved intelligence and more customers that simply adore your content. 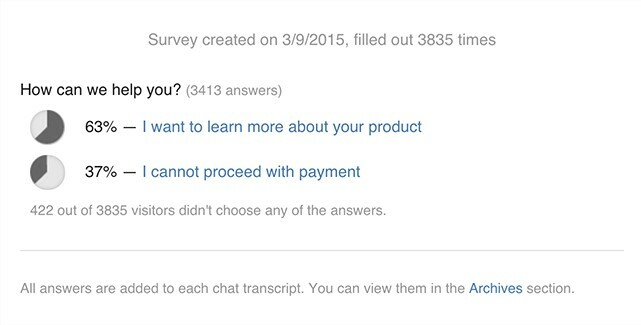 Are you going to purchase LiveChat or are you already using it?